you are using Sponsored Stories, the ad defaults to your profile picture or the post picture if you choose to promote a specific post. 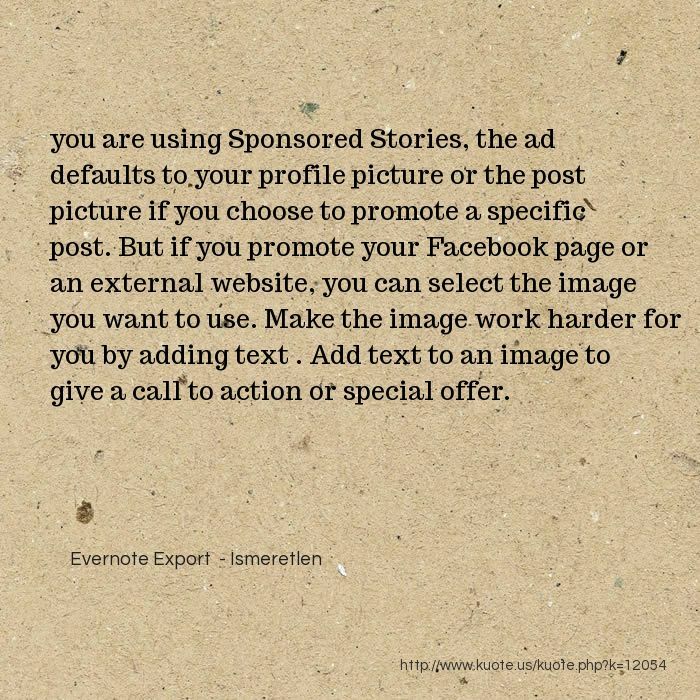 But if you promote your Facebook page or an external website, you can select the image you want to use. Make the image work harder for you by adding text . Add text to an image to give a call to action or special offer.